Picture this: you’ve followed all the golf swing tips and techniques from your golf pro and YouTube videos, but you still find yourself slicing into splash hazards and digging huge divots without hitting your ball. Haven’t you thought that maybe it’s not your swing that’s wrong, but your equipment? They say one of the most important things in golf is to have your clubs fitted to your own specifications. Most of us probably got our clubs straight from the store shelves, or just plain inherited used ones from our dads and uncles without really knowing if these clubs take into account our personal specs such as height, posture, arm and leg lengths. If we go great lengths to try out our casual shirts or formal shoes when we shop to get the most comfortable fit and perfect size, then shouldn’t we be doing the same for our golf equipment especially since they're expensive toys which we spend 5 to 6 hours with when we’re out on the course? 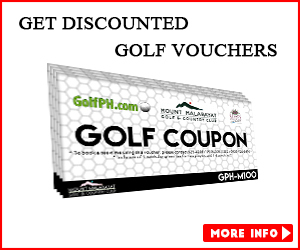 Well, lucky you, GolfPH member! GolfPH has partnered with Max Out Golf Stix for all your club fitting needs. GolfPH members enjoy a 10% discount in all Max Out services! Established in 2007, Max Out Golf Stix Club Fitting and Club Making is dedicated to custom club fitting, assembly, repair, and retail of golf clubs. Max Out Golf Stix uses a launch monitor for all club fitting sessions and offers other services related to the maintenance and proper conditioning of any golf club equipment. They are also the authorized dealer of Honma (Beres/Tour World), Mizuno, Calllaway, Fourteen Clubs, Titleist, Taylor Made, Bridgestone, Srixon, Cleveland, Maruman, XXIO, Cobra, United Golf, Odyssey, Scotty Cameron, NS PRO shafts, Graphite Design shafts, Golf Pride grips, and OnCore balls. 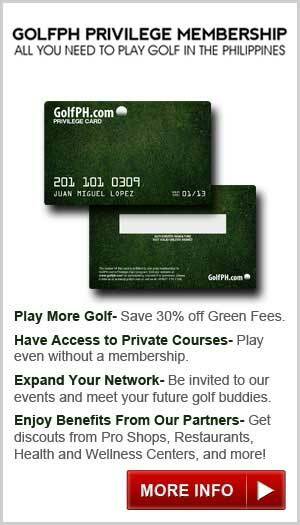 ​To date, Max Out has outfitted hundreds of satisfied local and foreign clients having different levels of playing ability. 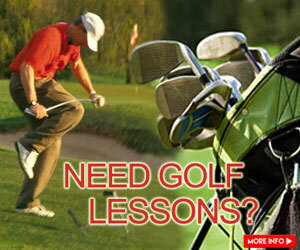 The shop is located at the Camp Aguinaldo driving range, Camp Aguinaldo Golf Club, Quezon City. Dante is the owner and resident club fitter and maker of Max Out. He is a product of the Club Fitting/Club Making Training Program of the world renowned Golf Smith Institute in Austin, Texas, and currently a member of the prestigious GCA (Golf Club Makers Association of America). Last 2016, Dante participated in the Modern Golf Summit that featured a wold-class roster of speakers such as Hall of Fame golf coach Mike Adams, Mark Broadie (best-selling author of “Every Shot Counts”), and orthopedic biomechanic expert, Dr. Scott Lynn. He also attended Mizuno Philippines' fitting demonstration event featuring Mizuno's regional fitter for Southeast Asia, Edmund Tan, last May 2017.